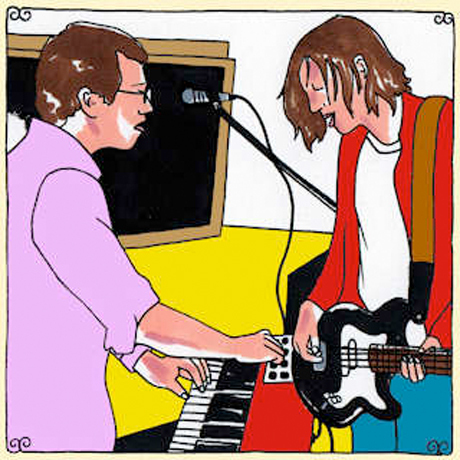 The paint job at the Daytrotter studios must be tranquil blue or something, because almost every session that comes out of it plays mellower than a strung-out street corner hippie with an acoustic guitar. So, naturally, Tokyo Police Club's recent turn at the facility has the Ontario rockers toning down their dance numbers significantly. Thankfully, there's still plenty of life to less-distorted takes of Champ cuts "End of a Spark" and "Favorite Colors." The real gem of the set, however, is unreleased track "Top Five!," a downtempo indie ballad full of heart-rending Rhodes organ.